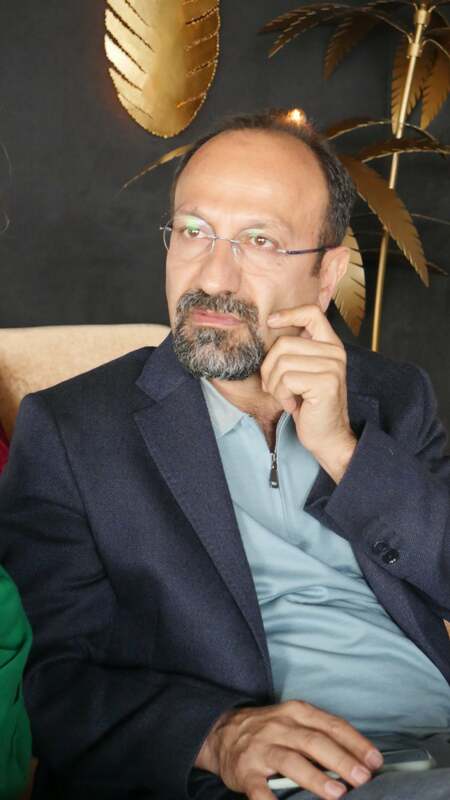 Two-time nominee and Golden Globe winner Asghar Farhadi is an accomplished cinematic storyteller whose intimate films often revolve around the slow burn of inexorable emotional turmoil. His movies are triumphs of economy whose strength lies precisely in their narrative restraint, and they have garnered worldwide acclaim, not least the jury and screenwriting prizes previously won here in Cannes.His 2012 Golden Globe winner, A Separation tells the story of Nader and Simin, a Tehran couple whose disagreements lead to the wife filing for divorce. The psychological strain the procedure, extremely difficult under the prevailing civil and religious norms placed on the couple is laid out in an almost clinical way by the film in which emotions escalate in a build-up that belies its minimalist style. Farhadi followed up that acclaimed effort with the French language The Past which similarly chronicles the inner strife of an ex-couple trying to deal with the baggage of their past relationships. The Iranian director was nominated for a Globe again two years ago for The Salesman, the story of yet another couple – actors this time, who are working on a Farsi language production of Death of A Salesman. When they move into a new apartment, a freak occurrence sets in motion events that put an unbearable emotional strain on their lives as they are suddenly faced with progressively oppressive forces from within as well as from the prejudiced society they live in. Javier Bardem and Penelope Cruz in a scene from Todos lo saben (Everybody Knows). 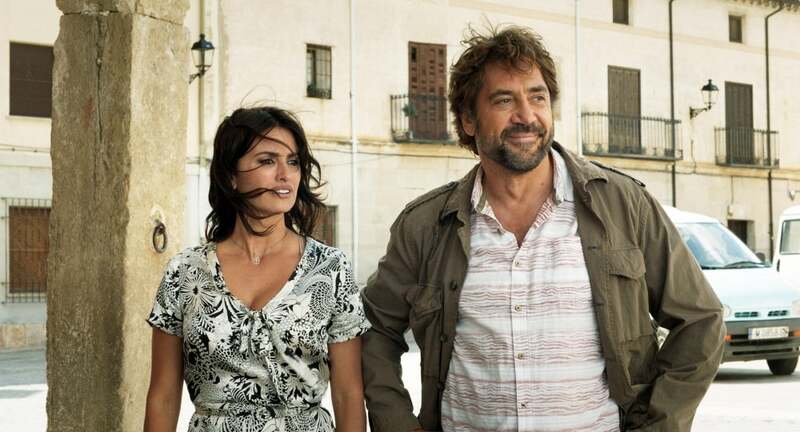 The Iranian director hews close to his playbook once again with this year’s Cannes opener Todos Lo Saben (Everybody Knows), his first film in Spanish, starring Penélope Cruz, Javier Bardem, and Ricardo Darin. It is the story of Laura (Cruz), a woman who returns from Argentina to her native village in Spain for a family wedding. She’s accompanied by her children: 16-year-old Irene and her 5-year-old brother and welcomed to the warm embrace of her aging patriarch of a father, her sisters, brothers in law, nieces and nephews and an extended circle of family and friends in the jovial atmosphere of celebratory anticipation. The welcome is especially warm from Paco (Bardem) a local vintner whose easy rapport with Laura betrays a lifelong friendship which has seen them go from childhood playmates to lovers and now seemingly friends who have gone their separate ways in life while maintaining a strong bond. Paco is in a longtime relationship with his social worker girlfriend Bea while Laura has left her loving Argentine husband Alejandro back in Buenos Aires for this family trip. This, however, is after all a Farhadi picture and it is not long before the emotional tone of easy conviviality of the seemingly well-adjusted family group changes radically. Here it does in perhaps a more dramatic fashion than in previous films with a crime which takes place during the wedding and which leaves the family shattered. As they try to make sense of what's happened and desperately try to remedy the situation Farhadi’s camera unflinchingly chronicles the emotional deconstruction of all those affected as the mounting pressure inevitably exposes tensions, old grudges and the unspoken fissures which so often underlie the veneer of familial cordiality. In this case, these also include the unspoken secret the title implies and whose consequences will soon engulf Laura, Paco, Alejandro and by extension the entire village. Farhadi may be operating far from the home turf of his native country, but he treads familiar artistic terrain like a masterfully at home in his vernacular style. Penelope Cruz, Javier Bardem and director Asghar Farhadi meet HFPA journalists in Cannes 2018. The standing ovation tributed by the Theatre Lumière audience after the premiere showing of Everybody Knows is a testament to the film’s accomplishments and to the career of a director who is a Cannes regular.